Sunburst offers a life practice grounded in the universal message of founder Norman Paulsen and his teacher, Paramahansa Yogananda. Beginning in 1920, Yogananda was one of the first masters to bring meditation and yoga science to the United States. He came from a rich lineage of enlightened teachers, beginning with the great master Jesus working in conjunction with the ageless Himalayan yogi Babaji. Sunburst also has a deep connection with Native American spirituality through Hopi elder White Bear Fredericks, as well as to Buddhist traditions through our founder’s father, Charles Paulsen, who was one of the first Caucasian Buddhist ministers. All of these wonderful souls are active in the teachings today, as are many other saints and sages from wisdom traditions around the world. Their lives exemplify that we can each realize who we truly are, and the power we have to create heaven on earth, and manifest our dreams. From his early childhood, Sunburst’s founder Norman Paulsen experienced visions of a man with long hair and large, lustrous dark eyes. In 1947, at age eighteen, Norman’s inner quest led him to Yogananda and he immediately recognized the phantom eyes of his childhood visions. As grateful tears flowed, Yogananda invited Norman to stay at his monastery in Los Angeles. Here, he learned the ancient and sacred techniques of Kriya Yoga meditation that he carried with him for the rest of his life. After four years, Norman was moved to leave the monastery, following his own visionary experiences as well as Paramahansa’s inspiration that he would someday initiate a spiritual movement in the Santa Barbara area. Shortly after leaving the monastery, Norman’s practice of Kriya Yoga meditation brought him to an illuminating face to face encounter with the pure light and presence of God, merging in oneness with the eternal Divine Presence. In l969, Norman began to meet young people who were interested in meditation and a way of life that would nurture the direct experience of God. Out of this gathering, Sunburst formed. Thousands of people benefited from the inspiration Norman offered freely, and the life practice and tools of meditation that helped each one discover the Divine within themselves. Norman founded Sunburst on the principles of simple, natural living, and high thinking. From this vision came Sunburst’s decades-long involvement in organic farming, as well as various natural foods enterprises, including some of the first large-scale natural food markets in the country. In the early 1980’s, Norman published his autobiography, Christ Consciousness, which details the many incredible experiences of his life. This book is an inspiration and a treasured guide for those hearing the call of soul. Norman’s enduring message, to encourage and guide others to make the journey of to their own face to face meeting with the Divine, has been Sunburst’s guiding light throughout the years. Sunburst continues to this day as an ever-growing community of practice dedicated to sharing and transmitting the Sunburst teachings and way of life. Norman Paulsen left his earthly body on December 30, 2006 consciously, just as he entered it. Words cannot describe the deep blessings of Spirit that continue to flow from Norman to all his fellow “travelers”. The beauty and strength of his teachings lives on in the hearts and minds of all the souls he continues to touch and help to this day. He is active in the Sunburst teachings as are many other illumined souls from the presence of I Am That I Am, the body of Christ Consciousness. Who was, and is, the man called Jesus? Where is he today? These questions have been posed for 2,000 years. To truly understand Jesus and his living message, we must each take up the divine adventure of Self-realization, and endeavor to bring forth the Christ consciousness within. As we come to know our own pure Self, we will begin to understand all beings that exist within the light and presence of God, the infinite Christ. His disciple Paul wrote of Jesus’ life: “Though he were a son, yet learned he obedience by the things which he suffered, and being perfected, became the author of eternal salvation…” By his unparalleled example, and the trials he endured victoriously, Jesus opened the way for each man and woman to climb the mountain of Spirit, to work toward the day when we will be able to say with him, “I and my Father are One.” He is ever available to those who desire his unconditional love, divine comfort and guidance, just beyond the realm of the outer senses, assisting our journey homeward to God within. Do not mind because many, sounding your name, do not understand you. I do not sound your name, but I understand you. may prove brethren and lovers as we are. 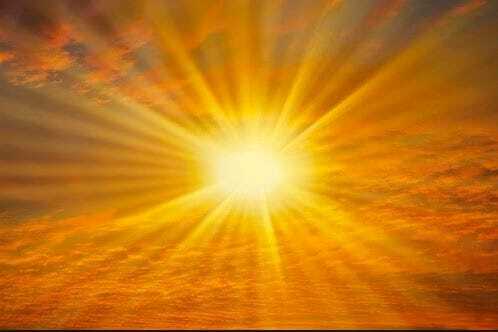 “Let there be light!” The body of Christ consciousness is the pure light and divine intelligence that burst forth in the beginning, from the eternal sea of life and energy. It is God’s first offspring made visible; it exists at the core of each one of us as the Pure Self. This Infinite Being of light is also known as I Am That I Am, signifying the dual masculine and feminine nature of God. This light is the distant star or radiant orb seen in deep meditations, near-death experiences, and by grace. It can appear as a brilliant sphere, much like the physical sun that shines in our sky, but alive and personal, moving through us, speaking to us, speaking through us, touching every particle of our beings with divine love. It upholds and sustains all of creation every microsecond of time. Each one of us, made in the image of God, is destined to awaken the Christ consciousness, the pure Self within our souls. This is Self-realization, through whose emergence God is realized. Enlightened, God-realized souls from all spiritual paths continually exist in this consciousness, and can come forth to assist you on your life’s journey. Thousands who have recounted near-death experiences describe seeing this pure Christ light as an all-knowing, all-loving being. However, you do not need to suffer serious accident or illness to discover the eternal light living within us all. Correct meditation tools such as the Sunburst Kriya Yoga techniques can reveal it to you and return you safely, full of divine wisdom, love and understanding. Yes, it is possible to feel, know and see the brilliant body of Christ consciousness, I Am That I Am, face to face, right within you. The Sunburst teachings offer a way to find that Pearl of Great Price. It is your divine birthright!